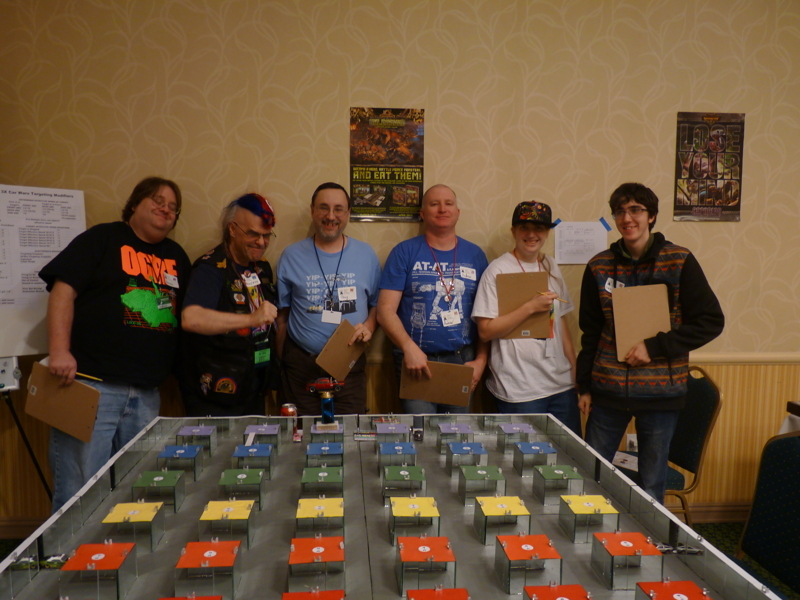 The inaugural OrcaCon recently took place in Everett, WA, and an epic Car Wars setup made an appearance! 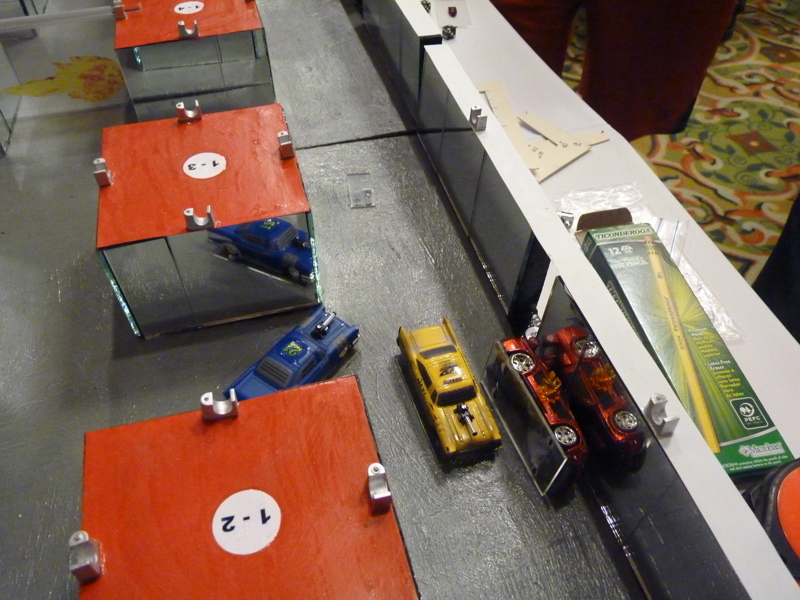 Greg, a local Car Wars enthusiast, has built an impressive 3-D playing area using toy cars as the playing pieces! 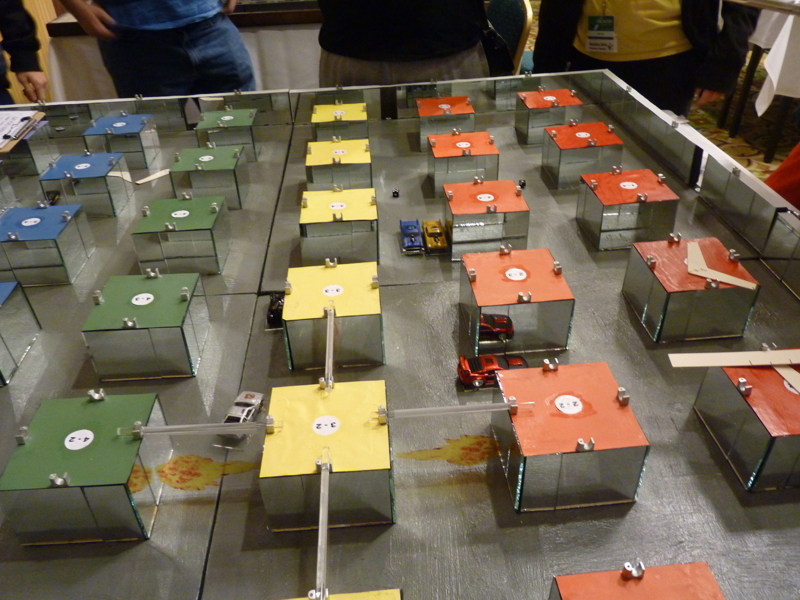 The car carnage is turned up to 11 with a setup like that! 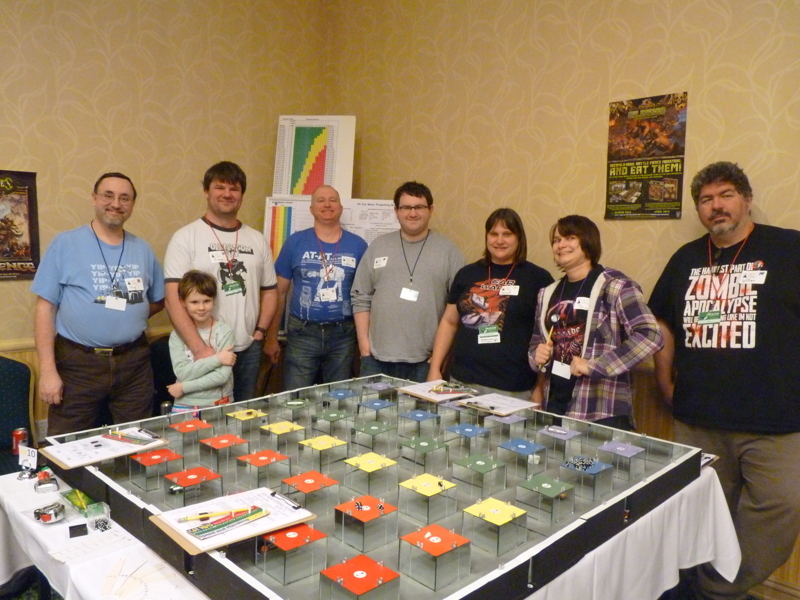 Thanks to Greg and the OrcaCon organizers and attendees for playing with that amazing display. 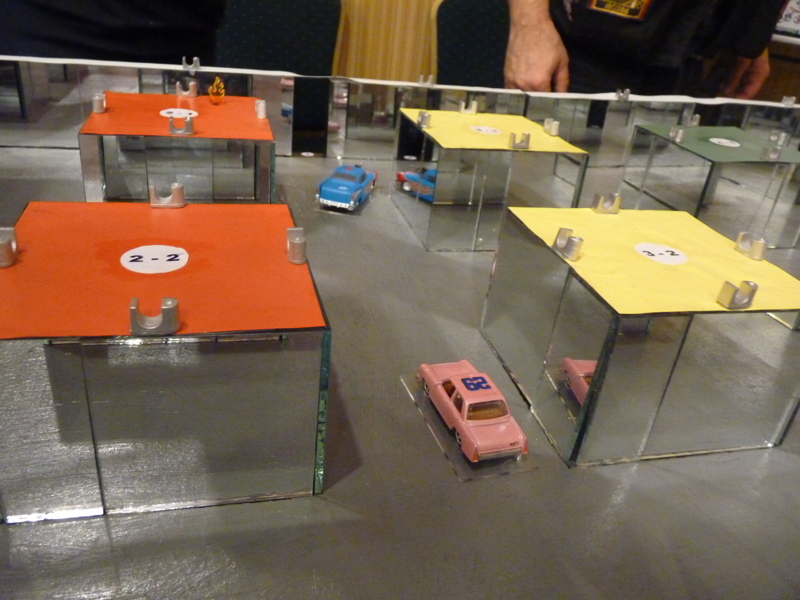 The pictures don't do it justice; it's really an incredible way to play Car Wars. It's hard work to make a mod of that size, so we're honored that Greg chose Car Wars for the project!